Pension funds and annuity providers need to effectively manage the longevity risk they are exposed to. Individuals receiving a lifetime income may live longer than expected or accounted for in the actuarial calculations to provision for these liabilities. Mismanaged longevity risk can deteriorate finances, cause bankruptcy and expose individuals to the risk of losing their retirement income. To safeguard against this risk, pension funds and annuity providers must provision for future improvements in mortality and life expectancy. The regulatory framework can support the effective management of longevity risk. 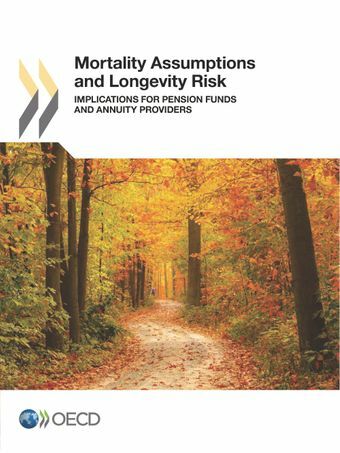 This publication assesses how pension funds, annuity providers such as life insurance companies, and the regulatory framework account for future improvements in mortality and life expectancy. The study then examines the mortality tables commonly used by pension funds and annuity providers against several well-known mortality projection models with the purpose of assessing the potential shortfall in provisions. The final part of the publication identifies best practices and discusses the management of longevity risk, putting forward a set of policy options to encourage and facilitate the management of longevity risk. Launch event - The 2014 OECD Pensions Outlook and the findings in this study were presented at a launch event at the Cass Business School in London.